If you’re doing a packaged tour, experiences can vary and reviews on tripadvisor will be glowing while others will be scathing (though check and see if the people writing the reviews have more than 1 review to their name) . The number one problem with the tours is that they feel like packaged touristic experiences and not authentic at all. Seeing a row of 15 camels tied together wandering through the desert to a fixed-location “camp” that’s more like a hotel isn’t quite what we had in mind. We asked how many people would be in our group and we were told 8-12. There were 15 of us. We were also told that we’d be able to go just the two of us on our camel trek since I told them I didn’t want to be in a huge group. They’ll say anything to close a sale. What’s the Mode of Transportation? Most of the tour companies just hire a driver. They don’t tell you that the person barely speaks English and has no intention of providing you with anything other than driving services. Don’t expect to be told where you’re stopping or learning anything about the place if you’re on a group tour. Don’t expect him to be friendly either – in our case, our driver was just downright mean and antagonistic. If you’re choosing a private tour (the more expensive ones) make sure that a guide is included and that they speak your language. The private/expensive tours should have a guide. The cheap ones seem to forgo this, unfortunately. What’s the accommodation like on both nights? Ask for the name of the hotel you’ll be staying at, and look it up! Ours, for example, did not have doors on the bathroom. That’s fine for us, as a married couple, but some people had to make fast friends. Expect it to be basic, but at the very least you want it to be clean. Does it have Air Conditioning? Is there a private bathroom for your room? Will you be sharing? 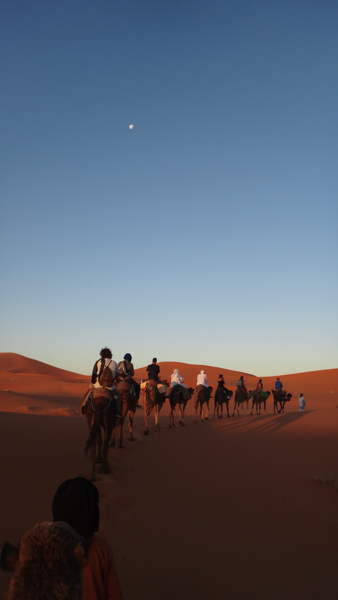 For the camel trek, what will the Berber camp be like? Some have showers, some don’t. 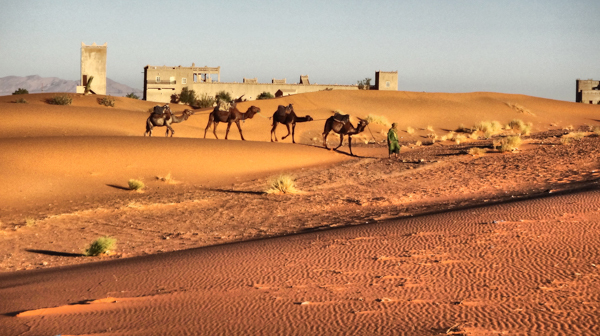 Some tour companies let you shower at a riad the next morning – make sure yours does! Most of the cheaper tours don’t give you straight answers. Dinner is included – but not water to go with dinner! Will you have to pay for a guide at any of the stops? (This is important because they shouldn’t flat out lie to you – and the reality is you will. When you stop on the first day in Ait Benhaddou a Berber guide will show up and tell you that he’s going to take you around – but he’ll expect 25 dirhams per person. Do not go in to the restaurants that you’re taken to by your driver or any of the guides. They are always more expensive than any other place and the people are definitely getting a cut. We were taken in Ait Benhaddou to a place that was 100 dirhams and the place accross the street was 45. Luckily we had read about this and were prepared. Pack yourself snacks and plenty of water. No water is provided and the food is very meager. Rather than pay for overpriced beverages, bring yourself a big jug of water. Most people in our tour had 4 litre tubs of water with them – smart move. 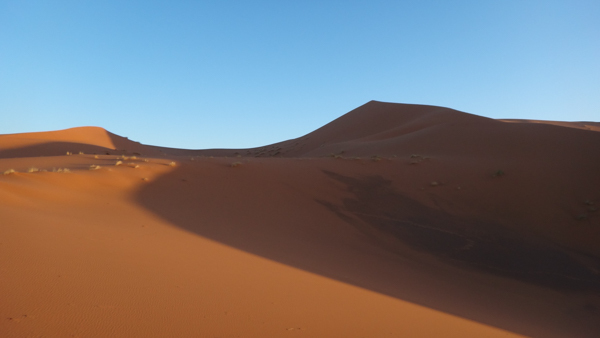 If you’ve read the other posts about the Sahara you’ll know I was keen on renting a car, especially after reading the recommendation on different forums, and all the negative comments about the tours. Unfortunately we weren’t able to do that and got stuck doing a tour. I wholeheartedly do not recommend the company we went with, and if I could do it again I’d try even harder to rent a car, or just take public transport. Stopping at a bunch of places without knowing what on earth you’re looking at or why it’s significant isn’t worth it, in my opinion.